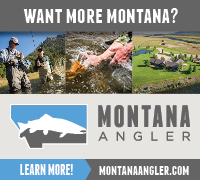 The Fly Fishing Shows this year are right around the corner. Like many of you, I don't go to Somerset anymore and hit the Lancaster Show instead - always good to see so many of you guys, both at booths as well as just wandering the show. If you respond to this thread, please make sure to make clear which show you're referring to. I'm excited to attend both shows that you've mentioned. Events like these are nothing close to fishing, but I think that they're the best "non-fishing" fishing thing that one can do. 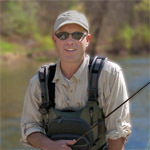 www.castingacross.com - The quarry and culture of fly fishing. 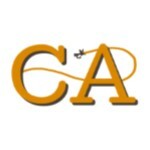 I will be attending the Lancaster show and looking forward to meeting fellow board members. It is basically a straight shot right down the Fruitville Pike to the Neptune Diner for me from where I live. I know that there have been some breakfast meet and greets in the past few years. I'll be going to the Lancaster show. Does it take a full day to go through it or can it be done in a few hours? "All good things--trout as well as eternal salvation--come by grace and grace comes by art and art does not come easy." If there is a meet/greet paflyfish.com I am sure that I will want to meet and make friends with other board members at the traditional breakfast at the Neptune Diner. I live < 10 miles away from the show so it won't be very hard for me to make this a two day event. I am a lot more interested in meeting other paflyfish.com board members to go fishing with than I am in visiting booths. Learning more about fly fishing is very important to me from all of the experience that I know is right here in front of me on this member board. 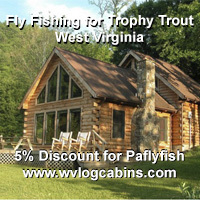 I know that I can catch stocked trout on my canoe trips in the south and at R&G Clubs in the Poconos. 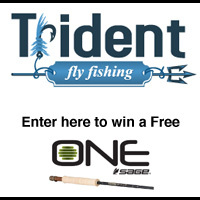 I want to learn how to be better at catching wild trout where I know I always get skunked. 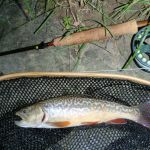 If fly fishing for wild trout was easy, anybody could do it. I apologize for the same post twice. I am just not very good with a computer. CT no big gonna the double post. It's what us mods got paid for...LOL. And yes there is usually a breakfast meeting. Keep following and someone will set it up. Does it take a full day to go through it or can it be done in a few hours? I can usually check out the Lancaster Show in a 2-3 hours. However, I go through the exhibit hall fairly fast and usually only opt to watch a couple of the demo/classes. If it's your first time at the show, I'd allow for a full day or at least a half a day. There's a lot to see and do. Thanks Dave, this will be my first time. Do you happen to know if Collins hackle will be there? Been wanting to buy some feathers from them but didn't see a list of exhibitors yet. Collins hackle will be at the Somerset show. I will be at both shows. In Somerset at the Eastern Waters Council and at the Chesapeake Council booth on Sunday. Teaching Fly Tying. I'll be running the Risen Fly booth at Lancaster again. Stop by and say you're from paff and I'll throw you a free hat! Plan to make both. Looking forward to the Neptune! I plan on attending both. It has become a tradition with a couple of my friends and I. We take turns driving from year to year. If I get to Lancaster I will stop by and see you ryguyfi. I'm heading up Thursday night and will be at the Somerset Show on Friday if anyone is around. Looking forward to catching up with a few people.